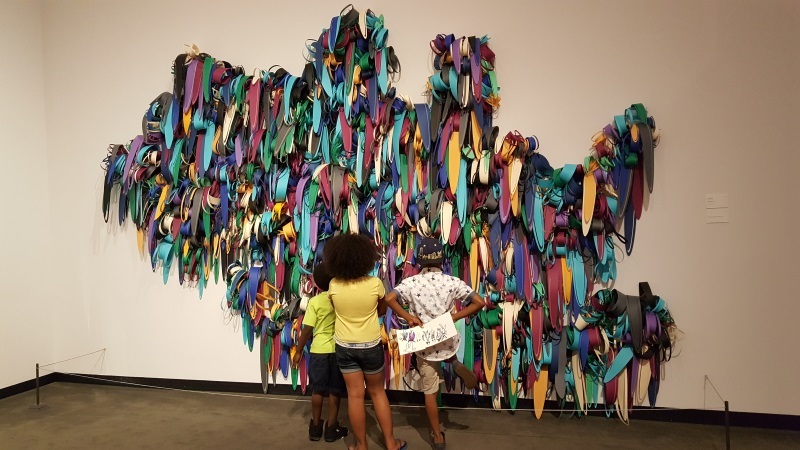 The Wustum Museum section of the RAM features regional and local artists while carrying on the tradition of hosting the museum’s arts education and community outreach programs, which are the largest of their kind in Wisconsin. 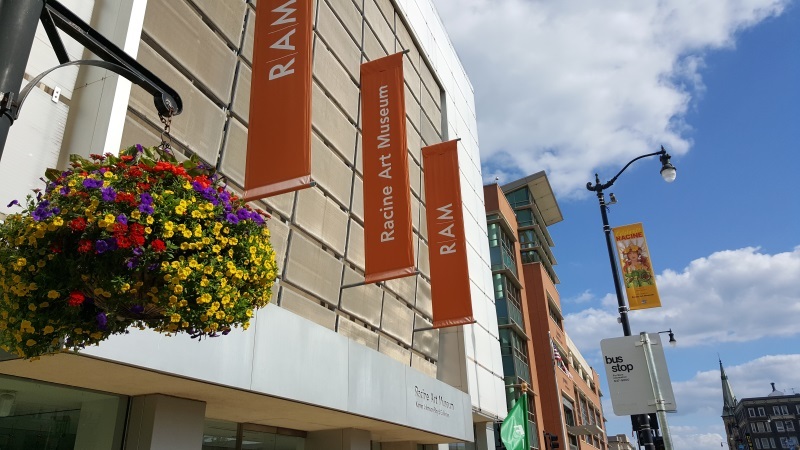 The Racine Art Museum offers one of the largest collections of contemporary crafts of any North American museum, including large collections of contemporary teapots, baskets and artist-made jewelry. The permanent collection features more than 4,000 artworks from internationally recognized artists. The museum’s Ceramics collection numbers over 600 objects that include internationally known ceramic sculptors; their largely sculptural Glass collection contains works from artists Harvey Littleton, Dale Chihuly, Joel Philip Meyers, Dan Dailey, Steven Hodder and Judy Jensen. The museum’s collection of Metals includes one of the largest groupings of contemporary jewelry of any museum. The RAM’s wood collection consists of vessels and furniture, with one of the highlights being a Wendell Castle desk that was in Objects USA. Handmade Books: The museum owns a large number of handmade books, both hand-printed letterpress examples and larger editioned offset lithography works; it is one of the largest collections of its kind in a Midwestern art museum. Contemplating an interesting work on the second floor of the Racine Art Museum. You’ll find the Racine Art Museum right along Main Street in downtown Racine, right near other State Trunk Tour points of interest and attractions like Monument Square, the Kewpee, the Frank Lloyd Wright-designed Johnson Wax Research Tower and Golden Rondelle, the Racine Zoo, Wind Point Lighthouse, and more. It’s right along Highway 32; Highway 20‘s eastern end is one block south, Highway 38‘s southern end is two blocks north, and Highway 11 is about two miles south.